I remember running around catching lightning bugs and capturing frogs when I was little. My kids like to do this as well and it’s fun seeing them outside exploring. Except of course when Finn then comes in covered with mosquito bites. For his birthday my brother gave him a backyard exploring kit and it was one of the first things he opened and tried out. I have a picture of him looking with a magnifying glass out into our garden bed. 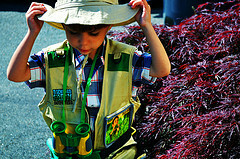 Finn has always been an explorer, the photo on this post is from his early explorer days in 2012 when he was three years old. 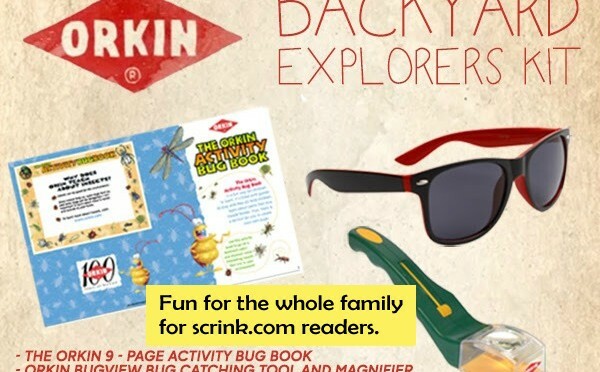 I bet your kiddos have the same adventurous tendencies and so we’re offering to our readers a Backyard Explorers Kit from Orkin. Orkin has a new new “Bug Wisdom” video series geared towards children to teach them that some of life’s biggest lessons come from small places. They, being the bug people that they are, understand that bugs are smart, curious creatures and so we can learn a lot from their ways. Many thanks to @AskTheOrkinMan and the Orkin folks for this giveway opportunity, I know kids everywhere will be super psyched! To enter the contest you can use the Rafflecopter form below. The contest will end at 12am on Friday, July 18th and we will need the winner to respond within 48 hours with their contact information so the prize can be sent to you. This giveaway is open to the U.S.
My husband has to work during the Super Bowl and neither of the teams we like are in the big game so really all it has going for it are the commercials and of course whatever snacks I decide to make for me and the kids. One of the talked about ads this year will not be airing and it is for SodaStream. Sadly, Pepsi said they simply won’t allow the competition. Coke on the other hand didn’t really care one way or the other, probably because their commercials are usually awesome anyway. A commercial which will be airing is one by the America’s Wetland Foundation and it has a super cool story. The America’s WETLAND Foundation (AWF) will launch its new ‘GAME ON!’ campaign to save coastal Louisiana with an advertisement titled ‘Eagle,’ during Super Bowl XLVIII, expected to be one of the most-watched television events of the year. AWF’s ad will feature young Louisiana football players as part of a call for teamwork to save the coast for future generations. Louisiana loses the equivalent of a football field of land every 50 minutes, a fact first popularized by AWF when it created a virtual ‘flooding’ of LSU’s Tiger Stadium ten years ago to raise awareness of coastal land loss. Since then, the football field metaphor has helped to generate billions of media impressions throughout the country and around the world. AWF’s poll found that 97 percent of voters believe it will take a team effort of government, industry, education and non-profit organizations to the restore the coast, agreeing that a unified effort is the best hope for coastal restoration and protection, not assigning blame for what has been lost. 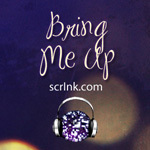 AWF’s new GAME ON! ‘Eagle’ ad will run both before and during Super Bowl coverage on Fox affiliates and Cox Media throughout southern Louisiana. 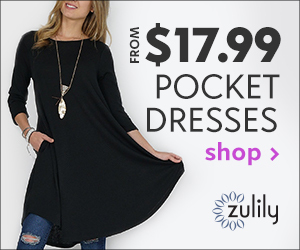 The ad was produced by Compose Digital Design and Marmillion / Gray Media, both based in Baton Rouge. 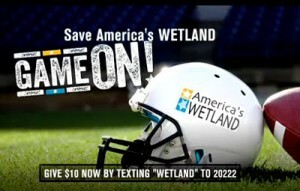 The America’s WETLAND Foundation will be showcased at the nationally televised Monday Night Football game between the New Orleans Saints and the Miami Dolphins on September 30, 2013. This news comes to us just as I have learned that Ruth Patrick has died at the age of 105 years old. Patrick, recipient of dozens of the nation’s top science awards including the National Medal of Science, died Monday at The Hill at Whitemarsh retirement community in Lafayette Hill, Pa., according to the Academy of Natural Sciences at Drexel University. She would have loved to know that a cause near and dear to her heart was going to be receiving national recognition at a popular sporting event. The Saints will honor the Foundation for its efforts to bring all interests to the table to find solutions to Louisiana’s coastal land loss and to raise a regional voice to the nation and the world about the ecological and economic value of the state’s endangered coast. This is the second year in a row the Saints have honored AWF. “In the time it will take the Saints to beat the Dolphins Monday night, Louisiana will lose the equivalent of four football fields of land,” said Val Marmillion, Managing Director of AWF. “The Saints are helping us get the word out so we can turn the tide in securing our coast’s vital assets,” Marmillion said. Participating in the presentation will be AWF board chairman R. King Milling and his wife, founding member of Women of the Storm, Anne Milling, along with Val Marmillion. AWF’s popular action heroes, the Estuarians, will also be on hand. My dear friend Claudia is a big supporter of this cause as she has her own apiary. 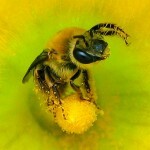 I have learned a great deal from her regarding the bees plight and it has become something I follow. Representatives John Conyers (D, MI) and Earl Blumenauer (D, OR) have taken a major step to protect pollinators. They have recently introduced the Save America’s Pollinators Act, calling for the suspension of a certain class of systemic pesticides that are killing bees: neonicotinoids (“neonics” for short). Just last month, 50,000 bumblebees were killed in a parking lot in Oregon by these very chemicals. This past spring, the European Union placed a two year ban on most neonics. This bill calls for the suspension of neonics on plants attractive to bees until a full review of scientific evidence indicates they are safe and a field study demonstrates no harmful impacts to pollinators. You can read the entire Act on the Center for Food Safety website. I urge your support of H.R. 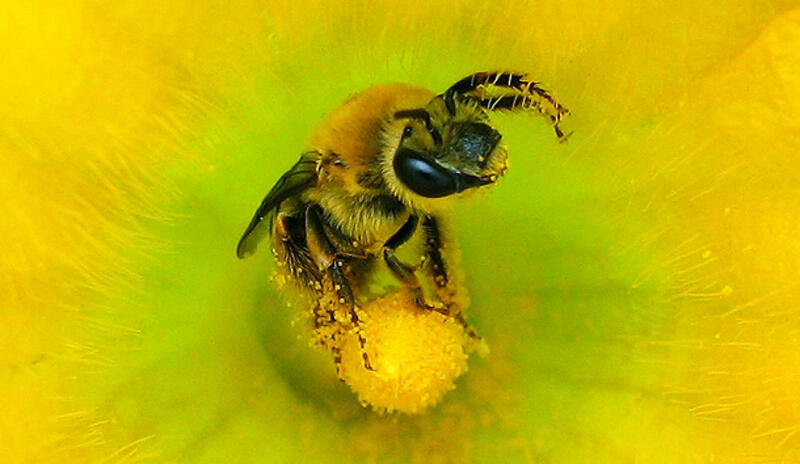 2692, the Save America’s Pollinators Act. 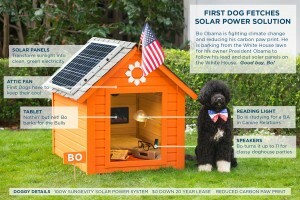 Okay this is cute and everything, but solar panels are not cheap and really how much electricity was that dog running? I know people somewhere thought this was a cute idea and yes I am laughing, but man I bet President Obama will catch flack for this one. 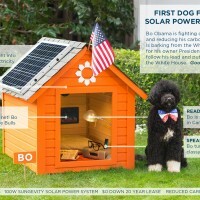 Sungevity and First Dog, Bo, today announced that the solar panels installed on his Presidential doghouse have successfully reduced his carbon paw print, and he is hounding President Obama to follow suit. 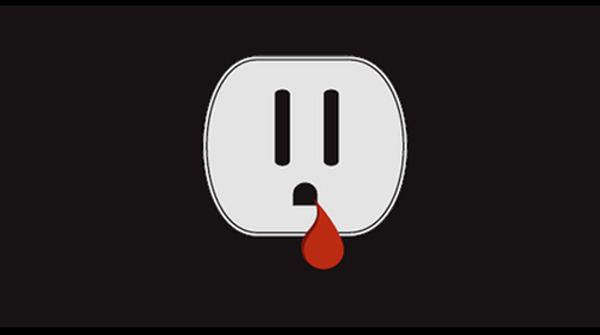 Bo’s announcement follows an impassioned speech by the President in which he urged Americans to redouble their efforts in the fight against climate change. 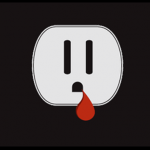 Bo’s 100-watt solar power system, which he leases from leading residential solar company, Sungevity, provides clean energy for his home’s electric fan, lighting, and electronics, all while lowering his electricity bill. Not one to sit and stay, Bo hopes to teach President Obama this new trick for addressing climate change, creating jobs and saving money all at the same time. Bo is a pretty smart dog. 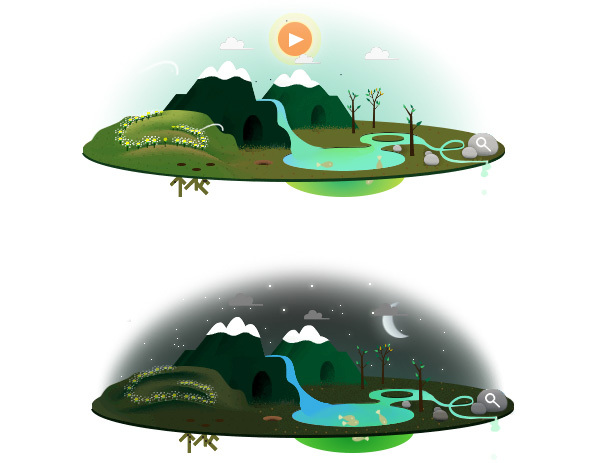 Google has an interactive Doodle on their main search engine page in honor of Earth Day. Be sure to check it out and watch while the sun rises and sets through an animated nature scene. For some neat Earth Day Printables check out my post from earlier this month. Curiosity.com from Discovery has a super cool video which is supposed to be Earth Day in the year 2020. It starts off with warning Manhattan of a tsunami. Wow, quite a prediction for something only 7 years out. It’s pretty realistic while you listen, I wonder what Manhattan would do in such a scenario. Interesting to think about.